Last year, I posted a photo of the Halloween Tree in Frontierland. This is one of the little things that I love about the park. It's one tree, not unlike any other in the area, only it's been dressed up and light up. It's not even that prominently different during the daytime, and it might not appear to be anything special--until night falls. And then it becomes a cute tribute to one of the great fantasy writers of our time. 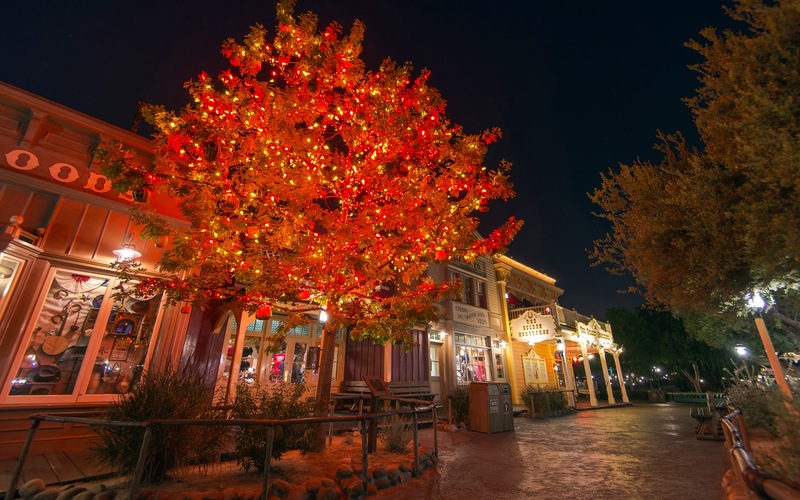 Since 2007, the Halloween Tree has been a part of Halloween Time at Disneyland, and it's a simple, small, very nice touch to the park. One of those things that makes me happy, even if I can't exactly explain why. This tribute to Ray Bradbury is back for 2013!